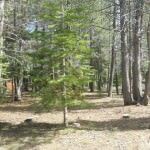 1552 Miztec St South Lake Tahoe CA offered at $85,000Build your second home or primary residence on this nice level lot that has a US Forest Service lot on the right and also partially backs a US Forest Service lot as well as having 3 US Forest Service lots across the street. Wonderful feeling of privacy in a neighborhood surrounded by many nice homes makes this partially wooded lot with 30% maximum coverage and high IPES Score of 965 a...Continue Reading! 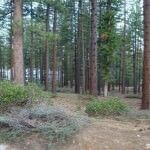 746 Wentworth Ln South Lake Tahoe CA offered at $255,000Quiet, forested neighborhood, near shopping & restaurants, trails & beaches. 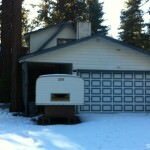 3 bed, 2 bath, 2-car garage home could use some TLC. There's ample space in an open floor plan; kitchen, living room, one bedroom and bathroom downstairs; two bedrooms and a bathroom upstairs; plus lots of attic storage. The back yard is also roomy, with extra space afforded by a Conservancy lot next door. This well-loved home has been enjoyed by...Continue Reading!